Observation - "Ringed" Ringed Plover - UK and Ireland. 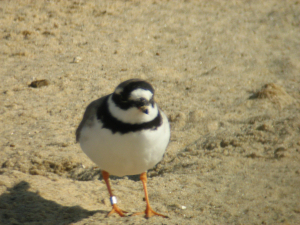 Description: Hunting for sandhoppers on the tideline, this ringed plover is wearing a leg ring. Hunting for sandhoppers on the tideline, this ringed plover is wearing a leg ring.